If you have been on the internet before, then you are familiar with the glorious comedy of Quinta Brunson. Whether you first got to know her years ago on Instagram as “The Girl Who’s Never Been On A Nice Date” (he got money), or you’ve watched her discuss the perks of being short on BuzzFeed, Quinta’s viral sketches have definitely made you laugh. And the 27-year old creator (who made this year’s Forbes 30 Under 30) continues to take her comedy to new heights in digital spaces. 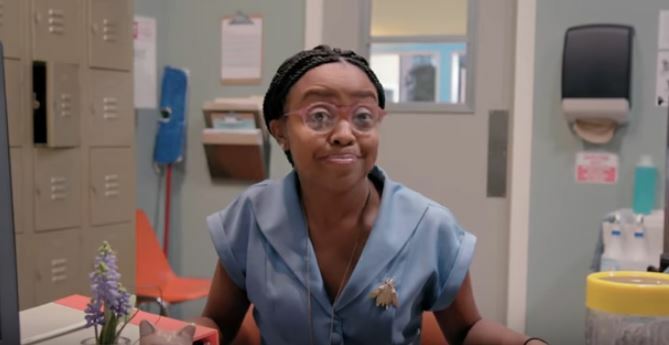 Having already developed the series Broke for YouTube Red, Quinta has now created the new workplace comedy, Up for Adoption, for go90, Verizon’s streaming service. In the 10-episode mockumentary series (with each episode running approximately 10 minutes long), we follow the lives of a single mom, Tanya, and her two teenage daughters, Marta and Lily Anne, as they volunteer at a Saturday pet adoption every week. 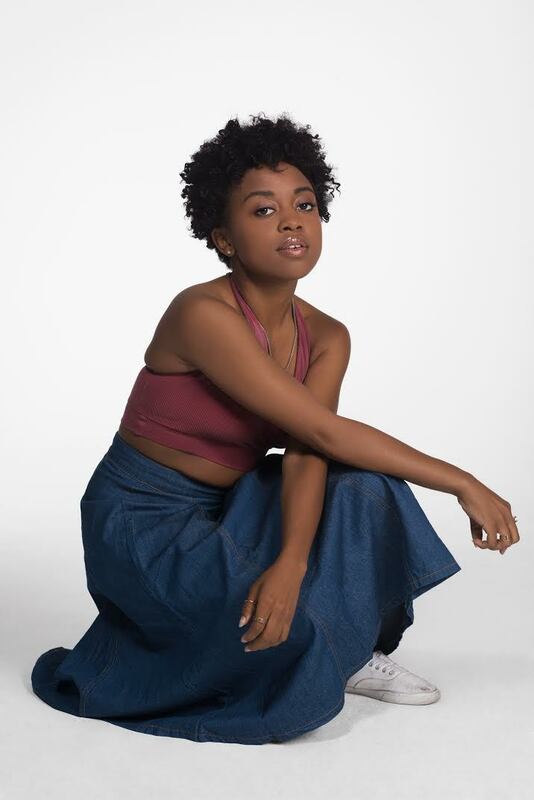 In addition to her work behind the scenes, Quinta plays Michelle, Tanya’s awkward, cat-obsessed best friend. Plus, every animal featured on the episode is actually up for adoption with spcLA — just one more reason to spend time with the earnest, odd characters at the Petz One weekend pet adoptions. You can watch every episode here on go90 (I binged all of it in one evening, and you should definitely do the same). I spoke to Quinta over the phone about her new series, the freedom inherent in digital media, the need to write diverse narratives, and what she’ll be doing next. HelloGiggles: Up for Adoption is a workplace comedy in the mockumentary style we’ve seen in Parks and Recreation and The Office. Had you been interested in creating a mockumentary for a while? Quinta Brunson: 100 percent. I think because shows like The Office and Parks and Rec being some of my favorite shows, sometimes naturally when I am putting a show together in my head, it’s already coming out in mockumentary form…So I always wanted to create something with that feel, it’s definitely been a want of mine for a really long time. HG: Is the show inspired by anything from your life? QB: Yes it was! It was inspired by when I adopted my actual cat, Jack…I got him from a Saturday adoption at a Petco. I was completely enamored with the environment. I thought it would be a great workplace comedy because we hadn’t seen [a comedy] in that kind of an environment yet. And I thought it was just awesome that it only took place on Saturdays — so what that looks like, what they bring to the story after their whole week has gone by is really interesting to me. The characters are kind of inspired by the people that I saw there who were volunteering…It got me really interested in what makes a person volunteer on Saturdays to help pets get homes. What kind of person does that? HG: How did you connect with the adoption centers who provide the animals for the shows? You are the creator of Up for Adoption, and we see you in more of a supporting role than we have in other work you have done, like Broke. QB: When I wrote Up for Adoption, I was not going to be playing any of the characters. I was never supposed to be on the show. I wrote it without that…After developing the story more with Verizon, they definitely wanted me to be a part of the show. And Michelle was the only character where I could fit in consistently, because she’s not related to any of the other characters. I was definitely a writer and creator first for this, and an actor last…Broke was based more on my personal experiences, a bit autobiographical. Whereas Up for Adoption completely wasn’t. HG: Up for Adoption has 10 minute episodes — of course, that’s not yet a half hour sitcom, but it’s longer than some of your previous work. Are you interested in creating longer content? Do you have plans to create beyond the digital space? QB: I would love to do longer work. That being said, I love the digital realm because there’s a lot of freedom here right now, and a lot of money to be honest (laughs). So I like it over here. And a lot of people just kind of let me do what I want — that’s not as selfish as it sounds, I think this generation is younger and there’s more control here as a young person. But I definitely want to have my hand in traditional media and in longer-form content. This was nice to go from working on shorter pieces to 10 minute episodes. It was really fun. I got to select certain muscles that I hadn’t been selecting all along with what I’ve been doing in short form. But what’s really appealing to me now is 44 minutes — which is weird because I’m skipping right over the 22 minute format, but 44 minute HBO type stuff. HG: Did being a showrunner come with any challenges you didn’t expect? QB: I would say no, because I had done a lot of reading on what it takes. I think the challenge comes from doing that in the digital space. And for me, being involved in the casting of the show, it came down to matters of wanting Latino and Latina actors and actresses. 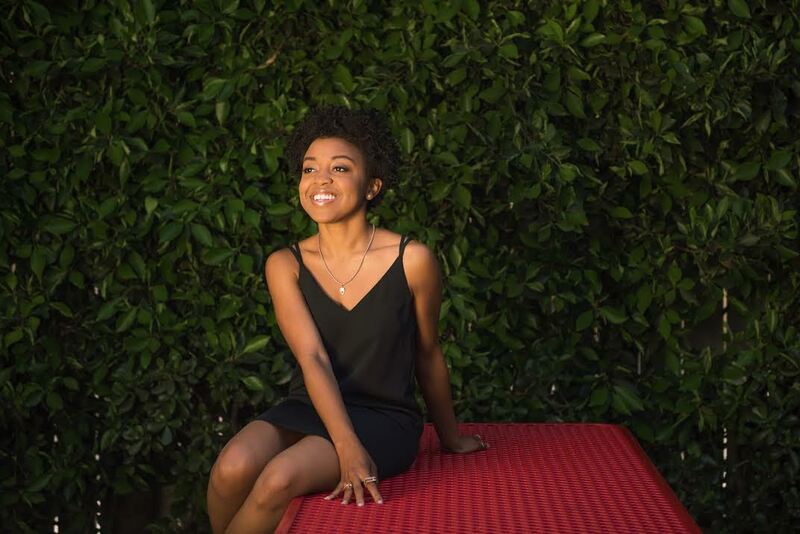 And I think for the first time in my life, I had seen the pangs of diversity [in the industry] very very very clearly — of course, I’m a black woman, so I’ve seen them, I know them, I wake up with them. But it was really interesting seeing it in casting, because I hadn’t had that experience of bringing in people and not being able to find what I wanted, but also understanding the systemic reasons why it’s hard to get the casting that you want. HG: People who don’t understand new media dismiss how influential it can be. How do you think digital content can be a vehicle for social justice? HG: As someone who is clearly an expert at making viral videos, how do you deal with the pressure to churn out content quickly while still creating work that is important to you? QB: I feel the pressure some days, and some days I don’t. I think that keeping good friends and relationships around me, and also remembering that I’m only human, helps me to alleviate that pressure. And also just making sure that my priorities are straight — most days I’m just thankful to wake up, to be grinding and have a good family and good friends…and being a good friend, and being a good person. And that’s what’s most important, so I think that takes some of the pressure off for me, as opposed to making those things my complete focus. It’s part of my job, but the world doesn’t stop if something doesn’t go viral. Also, as a creator, that’s important. For me to try new things, I have to be open to the idea that something might not go viral. And that’s fine by me, but in order to test something — especially in storytelling — it doesn’t necessarily have to go viral. I understand virality, but when I’m trying something new, I try to not to add that to the equation so quickly. HG: So many of your BuzzFeed videos have gone viral, but is there one video you’ve made that maybe doesn’t have as many views that you’re particularly proud of? QB: Well, there’s a video that I really like that I did called “If We Were Honest Making Plans.” And it was basically me being honest with my friends, saying I’m not going to your party because I don’t want to go — and that being an issue. I think that video would be considered to have gone viral, but to me it wasn’t viral considering other things that I’ve done. But I loved it because it’s one of my favorite sketches that I’ve written. I really like how the video turned out, and I got to work with some of my best friends. HG: As a creator, have you ever had to put your foot down to make sure that your work stays true to your vision? QB: With Broke in the beginning, I really thought it was important to have three black characters. And not that anyone fought me on that, but getting people to understand the importance of that…sometimes it takes just doing it yourself. We shot that entire season of Broke before that went to YouTube Red, but I do feel that if YouTube Red had been a part of that show from its inception, things could have been a little bit different. With Up for Adoption, I really wanted the character Tanya to not have successful relationships, and I remember earlier on in our discussions with go90 — which was really understanding, honestly — I had to help them understand why that was important and integral to the story. But they were very understanding. HG: Who are some of the comedians that inspired you when you were growing up? QB: Ellen…Kenan and Kel. I still love Kenan to this day. He is not talked about enough, and I think he is fantastic and I think he really has it all figured out. Tina Fey became a huge inspiration to me around 17…Before that I was just a fan, like I like this lady, she’s tight. But then, when I learned more about her, she became a huge inspiration. Wanda Sykes, too. I remember watching her show when I was younger and thinking she was just fantastic. Whoopi Goldberg also. Chris Rock was huge for me, still is…I think he’s just phenomenal, what he has done with his career after going into direction. I’m really obsessed with how people handle their careers more than anything. What they do with their comedy and how they turn it into documentaries and production companies, stuff like that. HG: Will fans get a second season of Up for Adoption? HG: Can you talk about any other work you have in the pipeline? QB: There is definitely other work that I’m pursuing right now. Some things in traditional media that will be happening soon — I can’t wait to be able to actually talk about it. And I’m gonna be working on a new sketch show for the digital space. Watch “Up for Adoption” on go90!